Animal viral diseases and spillover to humans results in some of the most important and devastating infections and outbreaks known to humans. My guest today looks at a number of these zoonotic diseases with superb storytelling interwoven with history, virology and public health. 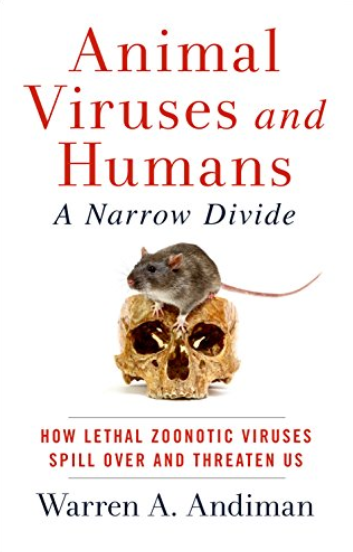 The name of the newly published book is titled Animal Viruses and Humans–A Narrow Divide and the author is Dr Warren Andiman. In addition to authoring this book, Dr Andiman is Professor emeritus of Pediatric Infectious Diseases and Public Health at the Yale Schools of Medicine and Public Health. He’s been on their faculties for 42 years. Just ordered this book. Excellent interview.